Home » How Does Celliant Work? You may have heard about Celliant, a proprietary fiber used in some bedding. You can even check it out in our Bear mattress and Amerisleep mattress reviews. But what is it exactly? What does it actually do and how does it work? Here’s everything you need to know. 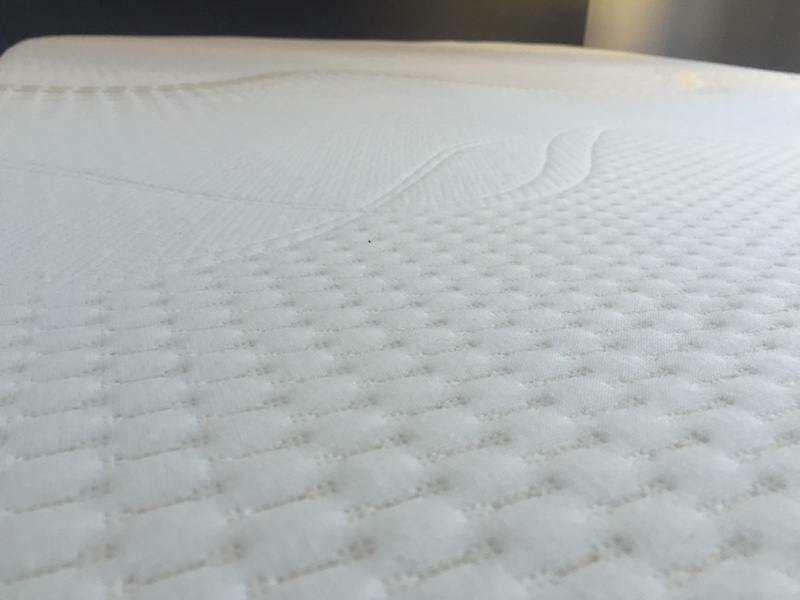 The Amerisleep Liberty mattress cover features Celliant in the fabric. Celliant itself is a blend of minerals available in a raw fiber or loaded into yarns or fabrics. According to the website celliant.com, the 13 thermo-reactive minerals in Celliant include titanium dioxide, silicon dioxide, and aluminum oxide. Plus, Celliant doesn’t wash out or break down so any pre-loaded fabrics don’t require any special care. The basic idea: Celliant takes your body’s wasted energy and turns it into infrared energy. Apparently, much of the energy we consume is lost to escaping body heat. Celliant harnesses that body heat. Instead of trapping it or venting it, as other performance fabrics do, the Celliant minerals transform body heat into infrared energy and emit it back into your muscles and tissues. And infrared energy has proven health benefits. The technology has been through nine clinical trials, and is FDA-approved. The science behind Celliant seems pretty solid — you can check out some of the clinical trials on the website. It won’t increase your body temperature. In fact, increasing blood flow makes it easy for your body to regulate your core temp. So don’t worry about overheating under some Celliant-loaded sheets. And finally, there are some great implications for sleep. One pilot study found that people fell asleep an average of 15 minutes faster when using a mattress topper containing Celliant. The subjects in the study also slept an average of 42 minutes less, suggesting that sleeping on a Celliant product led to better-quality sleep.